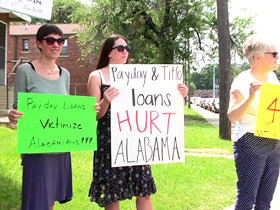 LUCKY SEVERSON, correspondent: Birmingham, Alabama—This is a demonstration against the state’s payday lenders—you know, those stores that offer short-term loans at exorbitant rates most often to poorer people who couldn’t get loans from banks or credit unions. There are nearly a thousand in Alabama alone, four times as many as there are McDonalds, in a state that has the third highest poverty rate. Woman at Demonstration: For those who are in need it’s an injustice, and that’s why we’re here. REVEREND SHANNON WEBSTER: It’s predatory lending. They’re picking off the most vulnerable. They’re stealing from the people who can least afford to be stolen from. SEVERSON: Reverend Shannon Webster is pastor of the First Presbyterian Church in Birmingham. 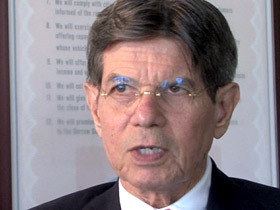 He is an outspoken critic of payday lenders. SEVERSON: Earlier this year, President Obama traveled to Birmingham to underscore his concern that payday lending is targeting and trapping the most vulnerable. He met with faith leaders, including Reverend Webster. REVEREND WEBSTER: There’s a moral and ethical injunction starting back in the Old Testament going all the way into the New Testament church. There are injunctions against lending at interest in an exorbitant way. SEVERSON: Payday lenders are not only an Alabama phenomenon. 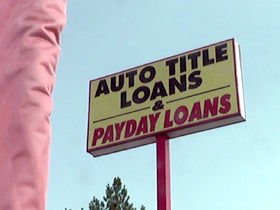 Nationwide, each year about 12 million Americans spend more than $7 billion on payday loans. According to a study by the Pew Charitable Trusts, the average borrower takes out eight loans of approximately $375 and spends $520 in interest. But few states are as saturated with these store-front lenders as Alabama. 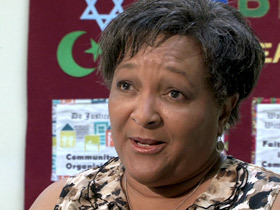 Carolyn Foster is with the Greater Birmingham Ministries. CAROLYN FOSTER: You will find them in low-income areas—neighborhoods where a person can just walk across the street, and there will be five or six on one block sometimes. It sickens me to see them. SHERRIE SAUNDERS: You can’t see the Taco Bell for the Cash Express sign. SEVERSON: Sherrie Saunders was eight years in the military, attended college. She and her husband are unemployed, have two handicapped children. They survive on a $654 disability check and food stamps. And then they scavenge tin cans and scrap metal to get by. SAUNDERS: My lights are being turned off, my water was already turned off, and I saw the flashing sign that you can pay back in 30 days. SEVERSON: That was four years ago. She borrowed $254, still owes that amount and continues to make payments. She says she has paid $2,000 in interest so far. SAUNDERS: They will not allow you to make partial payments. If you can’t make the full payment then they initiate the process of coming and getting your goods, because it’s a secure loan. They want your lawn mower, your TVs. 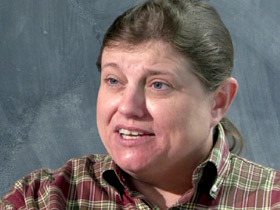 SEVERSON: Sherrie Saunders’ loan was secured by collateral, by her possessions, like her truck, but most payday loans are secured with a post-dated check. FOSTER: We see people all the time who come to our organizations in need of food, clothing, utility assistance, and if you dig a little deeper, you’ll find that they’re coming to us for those kind of services because they have to pay off the predatory loan first. CLARENCE EDWARD BELL, JR: I came here because I needed some shoes for my job. SEVERSON: Clarence Bell, Jr. is a truck driver. He took out a payday loan, then another one to pay off the first, and then another, and so on. BELL: That’s basically what I do is rob Peter to pay Paul and slap Bill in the face. SEVERSON: Borrow Smart Alabama is an umbrella group of about 300 payday lenders who contend that people like Clarence are fortunate to have instant money available when they need it. Max Wood is the Borrow Smart president. MAX WOOD: They don’t want to bounce a check and pay $40. If they get their power turned off it’s going to cost them anywhere from $100 to $200 to get their power turned back on. They can come here and pay $17.50 and walk out of here with a $100, or they can pay five times that much and walk out of here with $500. BELL: It’s easy to say quit borrowing money, but when you got your lights are going to get cut off, your car needs to be worked on, you don’t got any food to eat, your children have to go back to school—what else I can do? REVEREND WEBSTER: There’s a case to be made that the working poor are probably better money managers than those who are quite well off precisely because they have to be just to get by. SEVERSON: One common complaint is that when the payment is late, the lender can make life miserable. BELL: One loan company, they write my job, they called my mom, they called my friends, and what it does, it’s almost like a public embarrassment to you. WOOD: We do get references. WOOD: From the family, whoever they give. But we use those simply to say if we can’t get directly in touch with the customer, then we’ll call the family member and say look, we need to talk to so and so. SEVERSON: In Alabama, payday lenders are restricted from charging more than 17 and a half percent interest. But that’s for the term of the loan, which is often only two weeks and rarely longer than 30 days. If the loan is not paid on time, the compounded interest annually can total more than 450 percent. Faith leaders and advocacy groups have petitioned the legislature to restrict the loan industry, but so far the lenders have the louder voice. REVEREND WEBSTER: Not only the loudest voice. They have the loudest money. I’ve said they have more money than God and lobbyists, too. SEVERSON: You have a lot of clout. You give money to a lot of the legislators, and you have a voice with them. WOOD: Well, we certainly, and they do as well. SEVERSON: Wood says there’s another argument in favor of payday stores: a 2013 study by Auburn University that when these stores are forced out there is an increase in petty larceny. 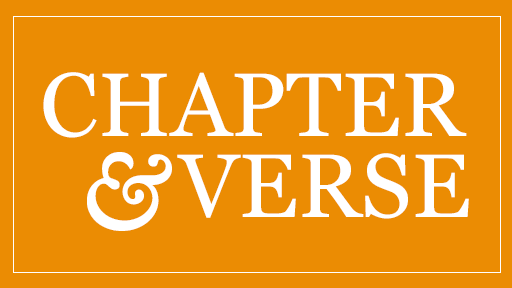 One of the authors is professor of finance John Jahera. JOHN JAHERA (Lowder Professor of Finance, Auburn University): How do we explain that? Well, it's somewhat speculation. It may mean that people get desperate for short-term money needs, and they do resort to petty larceny. They steal a TV, a computer to sell quickly to get the money. SEVERSON: But it’s the awful place in which so many people like Sherrie Saunders find themselves that concerns faith leaders. SAUNDERS: As I was told, it is my responsibility to make sure I can pay my bills, and if I was any kind of mother, I would have. SEVERSON: One thing churches are pushing here and elsewhere across the country is underwriting loans to enable borrowers to pay off all their payday obligations through a credit union. In Birmingham it’s called the Lighten Up Loan Program. It was launched with a $25,000 grant. This is Titus Battle. He worked part time as a dishwasher and has enrolled in college. TITUS BATTLE: I was making $80 payments, and about three months into it I realized that I wasn’t paying anything toward the money that was borrowed. SEVERSON: With the Lighten Up program he can consolidate his loans and pay them all off in a year. KRISTY WEAVER (Alabama Central Credit Union Marketing Director): We cut a check to pay off the payday lender, and you’re done with them. SEVERSON: But across the US, programs like Lighten Up Loan face a daunting challenge. In Alabama alone, there are more than 300,000 people searching for instant loans every day. WOOD: The average loan is $300. Now then tell me what impact they’re going to make with $25,000? SEVERSON: It’s only the beginning, supporters say, of an uphill battle, but one that an increasing number of faith leaders now see as a moral issue that they’re willing to take on. 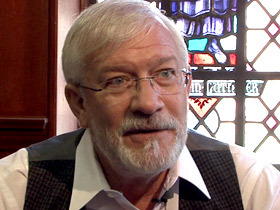 For Religion & Ethics NewsWeekly, I'm Lucky Severson in Birmingham. This week the Consumer Financial Protection Bureau proposed new rules to crack down on the payday loan industry. Store-front lenders promising easy money are a familiar sight in poor neighborhoods, and nationwide, about 12 million Americans spend more than $7 billion on payday loans each year. Payday loans offer quick access to cash when banks or credit unions can’t help, and the very poor who need the money often find they have no other recourse. But critics, among them church leaders, say the practice is predatory and forces debt on those who are least able to afford it. Now churches have started programs to help the poor escape their debt. Correspondent Lucky Severson reports from Birmingham, Alabama on lenders who target and trap the most vulnerable.